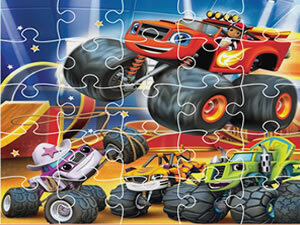 In this game you can play with 12 images of Blaze and monster machines. Put the pieces into right position and get the image fastest as you can. You can play all day long in this game. Use mouse to play this game.